Up to that, we’ve been content looking at his tweets and teaser info. Damien’s challenge – how to reduce camera size but still have performance CLOSE to industry leading N8? There’s going to be a massive 70% reduction in size compared to N8. Not reduced to 70% N8 size, N8 camera reduced 70%. Some features Damien has talked about. You get proper widescreen 16:9, not just 4:3 with top and bottom cut off. 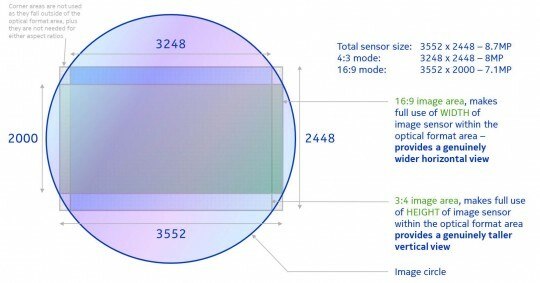 The actual sensor in the N9 is 8.7MP. Another limitation is Xenon, but it does use the most powerful dual LEDs from Nokia yet, 20% brighter than their best apparently (the N86, and trust me, that’s exceedingly bright for LED). Larger aperture, latest generation sensors as well as reduced pixels improved low light performance. Nokia aren’t providing excessive artificial sharpening, with little or none at all unlike competitors (which Steve Litchfield has pointed out in his articles). Less noise, not oversaturated eye gouging colours. Touch focus and continuous autofocus for film and stills, 10cm to infinity. Touch to focus, press capture. Continuous AF in stills cuts the AF lag time. When you point at a subject, N9 is already focusing. Fastest camera phone evvar! Start, click, capture. There’s no talk yet on the changes to the N9 camera interface which itself is leaps and bounds over all Nokia generations. See this rant. Cheers Alee for the tip too! « LEAK: Nokia RM-701 (N5??) With Symbian Belle?